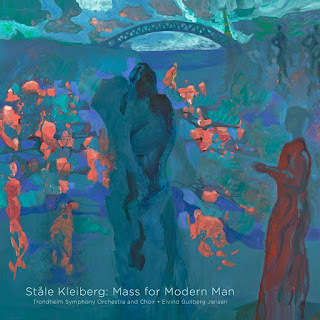 Until I was sent this CD, I had never heard of the Norwegian composer Ståle Kleiberg, which was definitely my loss. 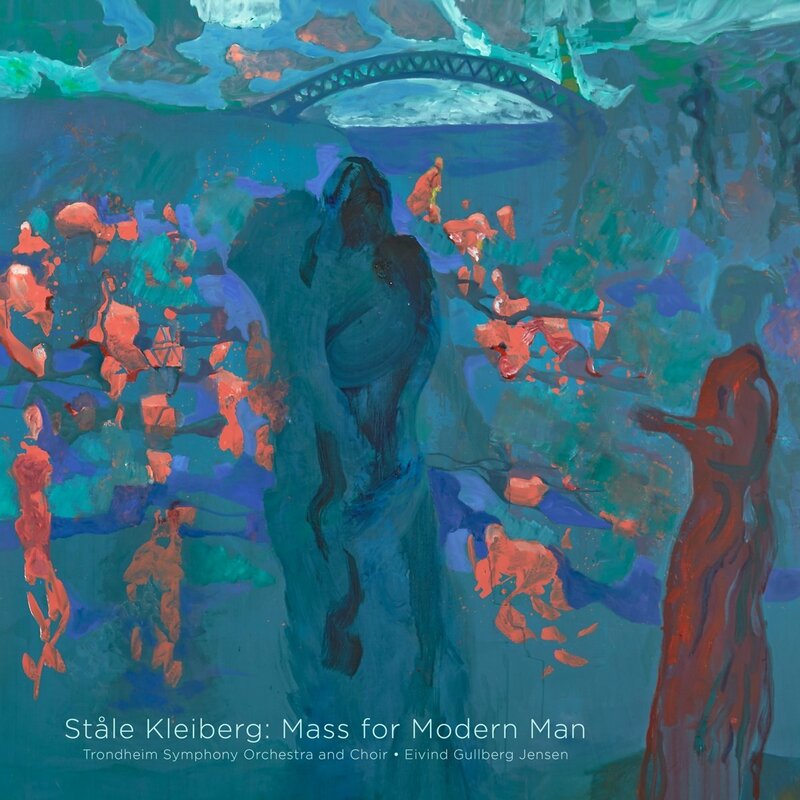 This disc from 2L (Lindberg Lyd) features Kleiberg's Mass for Modern Man performed by Trondheim Symphony Orchestra and Choir, conducted by Eivind Gullberg Jensen with Mari Eriksmoen (soprano) and Johannes Weisser (baritone). Born in 1958, Ståle Kleiberg studied musicology at the University of Oslo, going on to study composition at the Norwegian Academy of Music. His Requiem - for the victims of Nazi persecution, a work which combines the Latin mass with texts by the Scots poet and playwright Edwin Morgan, is one Kleiberg's most performed works. Mass for Modern Man was commissioned by the Munich Cathedral Choir, and is a large scale concert mass for soloists, choir and orchestra. The mass features the standard ordinary of the Latin mass (Kyrie, Gloria, Credo, Sanctus and Benedictus, Agnus Dei) interleaved with three movements setting English texts by Jessica Gordon, 'Loss of a Homeland - The Refugee', 'Loss of a Child', and 'Loss of Faith and Hope for the Future'. Each of these is a mini-narrative, and Kleiberg's setting of the surrounding Latin texts seems to reflect the narrative of the pieces so that the whole takes you on an emotional journey. Certainly the setting of the large scale movements of the Ordinary, Gloria and Credo, does not reflect the traditional emotional feel of settings of these texts. This is very firmly a concert mass. The 'Kyrie' sets the mood of the mass, it starts with a big romantic gesture, and despite a cappella moments, the repeated cries of 'Kyrie' throughout the movement set the tone. This is large scale tonal music, yet complex and not conventionally melodic. Next comes a baritone solo, 'Loss of a Homeland: The Refugee', here the composer who springs to mind is Samuel Barber as Kleiberg sets Gordon's narrative poem in a lyrical yet intense manner. This is powerful stuff, and baritone soloist Johannes Weisser makes a strong protagonist, though you do need to follow the text in the libretto as his diction is not perfect. The following choral'Gloria' could hardly be the usual celebratory one, and Kleiberg starts off thoughtful, and though it does build up in intensity the result is more affirmative than joyful, still with an element of questioning. 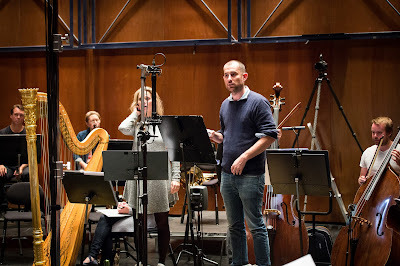 'Loss of a Child' returns to the soloists, and opens with Eriksmoen and Weisser singing in octaves. 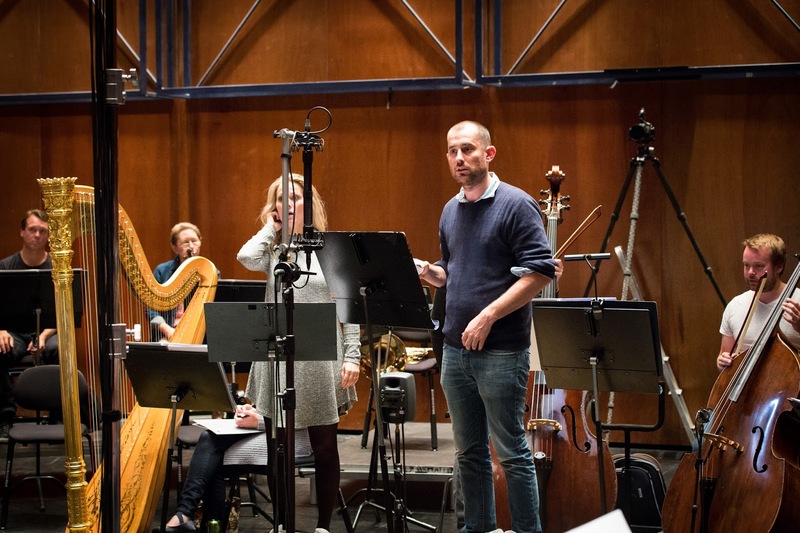 Kleiberg's setting of the poignant text is lyric, yet more complex than a simple lullaby, but there is an unashamed melodic clarity to the piece. The choral Credo is lyrical and surprisingly intimate, and again quietly affirmative. The set comes with two discs, one a Hybrid SACD and another Pure Audio Blu-ray. I have to confess that I lack the technology to try the recording out in anything but conventional CD format so cannot comment on the immersive audio of the second disc. Samuel Barber was the composer to whom I kept returning when listening to this work, as Kleiberg's setting has the same sense of being lyrical and tonal, yet complex and without the constant need to write big tunes. Under Jensen's direction the performers give a big hearted, warm performance and really bring out the emotional thread in the music.